Making Vanilla - The Perfect Holiday Gift And Activity For Kids! This post is guest written by my Mom and contains affiliate links to products that you can purchase on Amazon that would be needed to make your own vanilla bean extract. This means that I receive a small commission based on sales from this post, at no extra cost to you. Thank you for reading, and happy vanilla making! Are you looking for a unique yet simple idea for a special home-made holiday gift? Are you looking for a fun activity to make with your kids this holiday season that will also teach them about extraction? You came to the right place, but the time to start this fun project is now, in order for it to be ready for the holidays. This is everything you need to know about how to make your own Vanilla Bean Extract. If you could peek into the kitchen cabinets of all your family and friends, chances are that the most common “staple” baking ingredient you’d find is vanilla extract. This widely-used flavoring ingredient is found in a huge range of products from cookies to ice cream to beverages and more. Did you know you can easily MAKE your own natural vanilla extract? Homemade vanilla extract makes an excellent gift for the bakers in your life. There are only two ingredients, so really, what can go wrong? You will need vodka and vanilla beans. 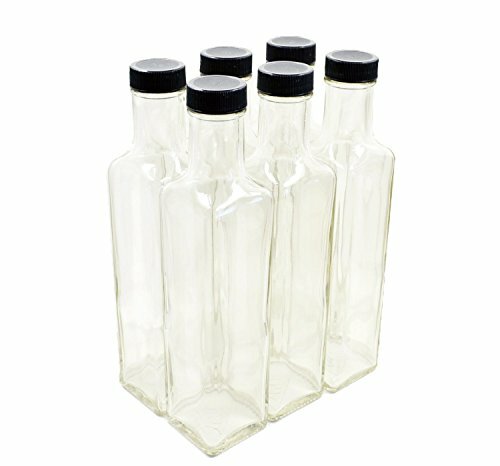 I recently made several bottles of homemade vanilla extract for a food science project, and it breaks down to using approximately seven beans (of about 5” length) per 8 ounces of vodka. Unless you live in a tropical region and have a lot of time on your hands, you are really not going to grow your own vanilla orchid. That’s the plant from which the beans come. You’ll need to buy them and they are available here on Amazon. There are different types of beans depending on the growing region but Madagascar beans are often referenced as the best ones for vanilla extract. You might be shocked (I definitely was) at the price of real vanilla beans. You might even consider trying to grow your own (don’t)! They have become expensive lately due to a variety of factors (weather, long production cycles, global supply issues, labor-intensive manual process, etc.) but this is what it takes to make the real deal. The mix ratio that I mentioned above (seven beans per every 8 oz. vodka) makes a full 8 ounces and that can be broken down into whatever quantity you desire for gifting. Many vanilla bottles you see at the grocery store are only 1 or 2 oz., so an 8 oz. bottle is very generous. On the vodka side, there is good news. You can use any inexpensive, 80 proof unflavored vodka. You know, the kind you bought when you were 21! Maybe you have some sitting around right now. There is zero benefit to using “top shelf” stuff, although there is no harm in doing so either. For gift-giving you probably want to use an attractive container. 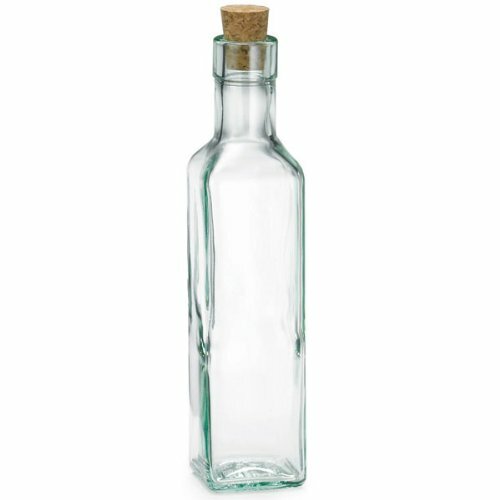 Amazon has a variety of bottle options that are both lower cost and decorative. NOTE: it is no problem to start your extract as one big batch, in a large bottle. You can even toss the beans directly into the vodka bottle. Once the extract is finished, you can then portion it out into your gift bottles. That gives you a little more time to shop for bottles. Here are my beans, bottles, and vodka. Ready, set, pour! To start the extraction process, simply place your beans and vodka in a container that can be tightly closed. Shake them around every day or so. As mentioned above, the process takes weeks! You can help hasten it (I recommend this) by cutting lengthwise slits in the beans, which will expose more of the tiny seeds to the liquid that is doing the extraction. If you slit or cut the beans, your extract will turn brown quite a bit faster than if you don’t. But don’t be fooled! The main flavor/aroma compounds in vanilla bean are actually colorless, so you really cannot judge the progress by color. I would give it a good 10-12 weeks to ensure a complete extraction. You may be wondering, why vodka? The flavor/aroma compounds in the vanilla bean are extracted by (dissolved in) the vodka over time. 80 proof vodka is 40% ethanol/60% water. At normal baking temperatures, the ethanol is driven off so there is no need to be concerned about any alcohol content. Once your extract has been completed, you can remove the beans if you want. I chose to not do that since I thought the bottle with the beans in it looked really nice. You will probably start seeing a lot of floating “debris” in your extract. I did not worry about that at all. It is just bits and pieces of the bean which are perfectly OK to have in there. You CAN filter this through cheesecloth if it bothers you, but I think it makes it look all the more authentic. As a final personal touch, you can get creative with adding a decorative label. I will fully admit to going a bit overboard with my labels. My son-in-law was trimming trees on their property and I had him slice me a few tree branch cross-sections (about ¼” thick) and drill a small hole in them. With a permanent marker, I hand-wrote my labels and tied them to the bottles with some twine. For the holidays, you can dress this package up any way you like. The key to success when making extract is giving it enough time. But even if you do run a little short on time, you can always give the gift and tell your recipient to hold off on using it. They will be so impressed with your creativity, they won’t mind at all. This is such a fun project – and a very thoughtful one for those people you know who would really appreciate something that took a lot of advance planning. If you have kids, you can even involve them here – such as assigning them the task of shaking the bottles every day. They will love being a part of the process. Thanks for reading and I hope you enjoy this fun DIY project! As part of a food science curriculum I was taking, we learned about vanilla flavoring. I also spent time on a gas chromatography project at work, looking at extractable compounds over a period of 8 weeks extraction time. Did you know there is a LOT to vanilla science? There are entire books written just on vanilla! 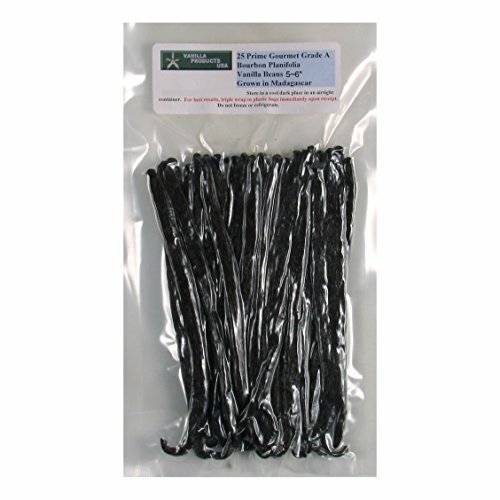 There are many different compounds that contribute to the overall flavor and aroma in vanilla (by far the main one is vanillin), and beans from different regions have characteristic “profiles” of these compounds. For example, an expert will be able to taste the difference between Madagascar and Tahitian bean extract. For my project, I had carefully weighed everything out and for a 5.5” long bean, the 7 beans per 8 oz. vodka puts you right about where you need to be if you were following FDA guidelines. If you use fewer beans the product will simply be less concentrated. I used 80 proof unflavored vodka because it meets the FDA standard of a minimum of 70 proof for making vanilla extract. All of these FDA specifications would be important if you were bottling and selling natural vanilla extract on the open market. But for your own personal use, you don’t need to be so exact. This will also work with many types of spirits such as rum, whiskey, flavored vodka, etc. You can definitely get a little creative here! Let’s circle back and discuss those vanilla beans - why wouldn’t you grow your own? The prospect of doing this does sound tempting now that we know how much they cost. But realistically, we should leave this up to the experts. Vanilla orchid is best grown in tropical regions and is hand-pollinated. Personally, I wouldn’t know where to even begin on that one! Commercially grown plants can take a few years to develop. And there is some critical post-harvest processing required to fully develop all the flavoring compounds. This is not like growing tomatoes! Beware of this vanilla old-wives tale – there are some references on the internet that state you can keep your extract going perpetually by adding more vodka as your bottle gets emptied. This is 100% not true. There is only so much flavor/aroma compound in the bean; there is not an endless supply in there! If this were true, companies who make Vanilla would never have to buy more beans, they could keep re-using the ones they have. I can assure you that some of these companies are major bean-buyers! Since vanilla is so flavorful, you could possibly get SOME bang for your buck by doing this. For example, when about ¼ of your bottle is gone, you can probably get away with topping it off with vodka, and not impacting the flavor too much. But that’s the most I would try. For sure, the beans will ultimately be tapped out. It might take us weeks and weeks to make vanilla extract by this method, but the big producers can do it much faster. They will chop or split the beans into much smaller pieces than we are using here, which exposes more surface area and the extraction goes faster. That plus a big tank that is constantly stirred. They will filter the product before bottling it, so all the tiny pieces won’t matter at all to them. In the end, we are basically doing the same thing!